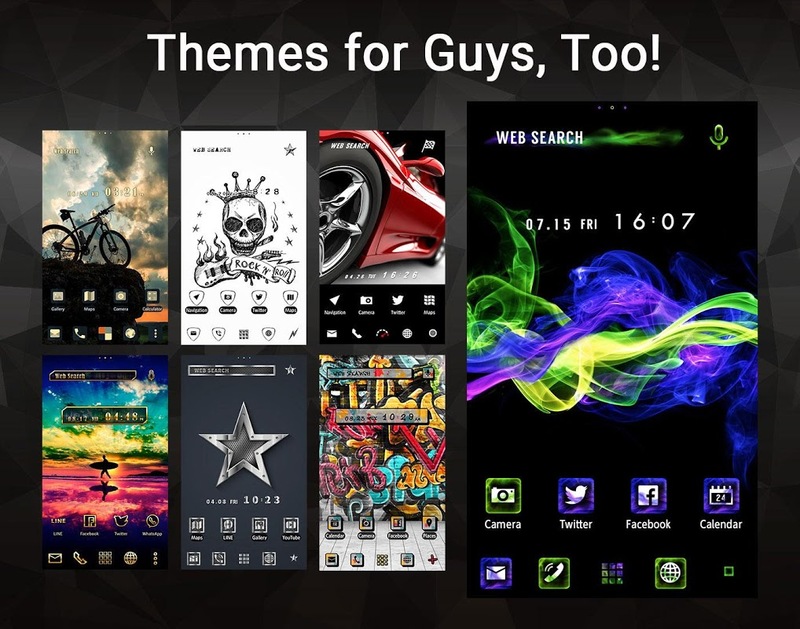  Customize your smartphone with beautiful FREE themes and HD wallpapers! Personalizing your wallpaper, icons and widgets has never been easier with +HOME, the FREE customization launcher app! With more than 1,000 different themes to chose from, you're sure to find a design to suit your every whim! Created in Japan with "Kawaii" as its core concept, +HOME has garnered great acclaim from nearly a million users worldwide! Download +HOME today and start making your smartphone truly YOURS! 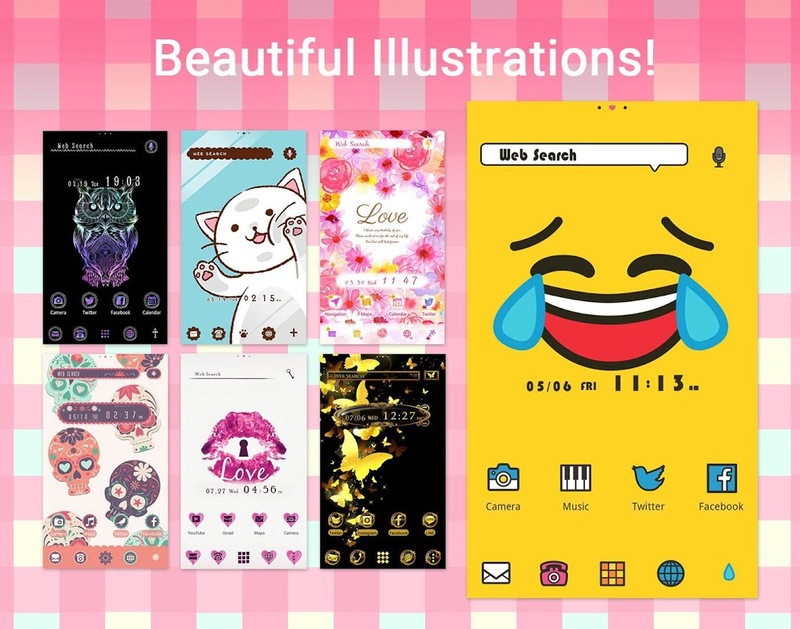 -Personalize your wallpaper, icons, clock widget, and search widget in a snap! -Beginner-friendly user interface! 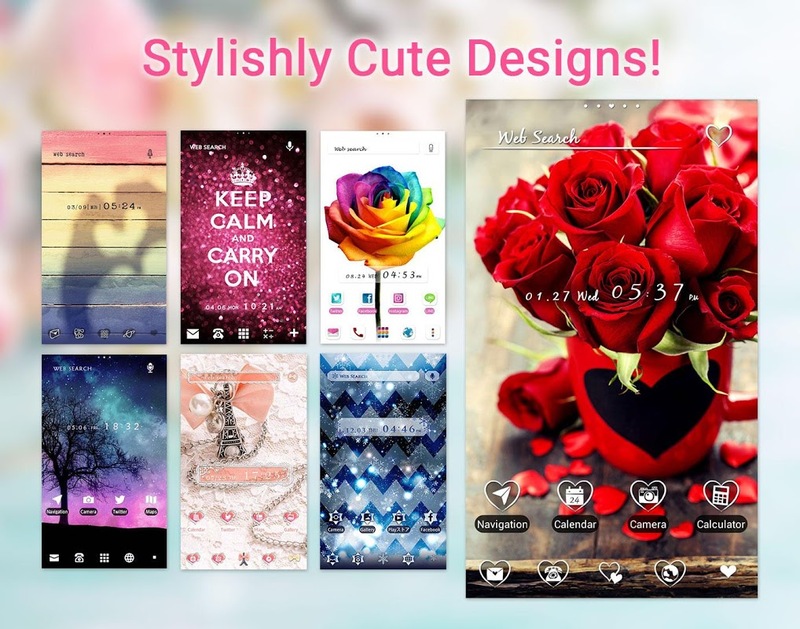 -More than 1,000 cute, cool, and stylish themes to choose from! -Easy-to-use one stop menu where you can access your camera, calendar, maps, alarm, gallery, and much more at the touch of a button! 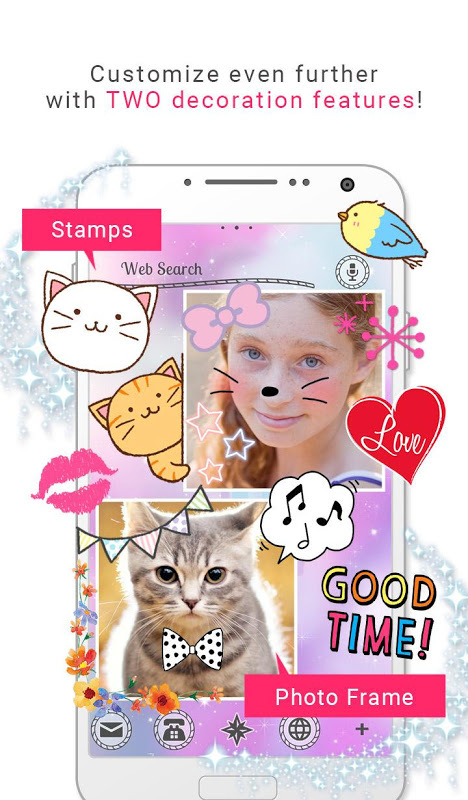 -Create your own original designs for your home screen with the "Photo Frame" and "Stamp" features! ★You asked, and we added the following features!★ -You can now create folders in drawers -You can now sort within folders -You can now adjust the number of icons displayed on your dock pages -You can now customize your search screen +HOME is not currently compatible with Android OS 7.0. We are working to correct this. Inquiries and Requests: info+android@atm-plushome.com If you have any requests or find any bugs, please refrain from writing them in reviews as we will be unable to address them. Instead, please send them to us in an e-mail at the above address, and we will try our best to meet your expectations!  Is Wallpaper Theme +HOME Launcher yours? Claim it!